Tips on Choosing Mens Watch Tips Please ! The case is 1 ½ inches wide at its widest point, and the band size is 18mm. Until I saw these turquoise tips, I had my heart set on solid silver with a nice pattern. 1) those tips are so clean and bright, I think they would look “wrong” against the stainless case…thoughts? 2) is the bandwidth/lug distance important for fit and “look”? 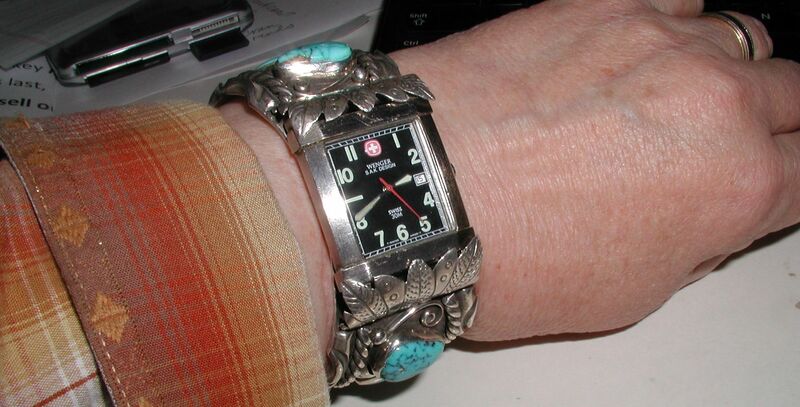 Thanks for your interest in our Native American watch tips. Whether you choose all sterling silver tips or tips with turquoise or other stones is up to you. We do not advise on fashion. The spacing between the lugs should be at least 1mm more that the width of the tips where they attach to the watch. That makes for a neat fit without a lot of sliding around and still leaves enough room to remove the pins should you want to. The watch tips mentioned above and the turquoise ones you like all measure 17mm at the attachment, so they should work fine with your watch (this is a fairly standard size for men’s watch tips). What is the quality of the watch itself in Native American watches? I’m interested in the Freddy Charlie – Navajo Sterling Silver Boulder Turquoise Ladies Watch Tips HK Item # WL-381. Can you tell me about the quality of the watch itself? In many cases, I’ve seen some beautiful work undone by using a cheap Chinese timepiece. Do you know anything about the make/origin of the watch itself? Most of the Native American artists just sell us the tips. Watch tips are the decorative panels between the watch face and the band. We add a watch face and expansion band to the tips allow the buyer to see how the watch looks as a complete unit. But basically we are selling the hand made tips. 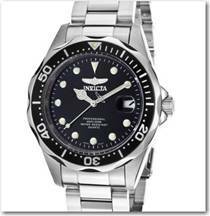 Many of our customers use the watches and bands we include as is and some change to their favorite watch and/or band. The watch faces are inexpensive battery operated quartz watches. We’ve never had a complaint about them and I have a half dozen watches myself from the store with these watch faces in them and have not had a problem. But they are nothing fancy or expensive. I think they are made in China. You can easily change the watch face or band.